Mantas, J., Hasman, A., Gallos, G., Househ, M.S. Biomedical Informatics is now indispensible in modern healthcare, and the field covers a very broad spectrum of research and application outcomes, ranging from cell to population, and including a number of technologies such as imaging, sensors, and biomedical equipment, as well as management and organizational subjects. This book presents 65 full papers and two keynote speeches from the 2017 edition of the International Conference on Informatics, Management, and Technology in Healthcare (ICIMTH 2017), held in Athens, Greece in July 2017. The papers are grouped in three chapters, and cover a wide range of topics, reflecting the current scope of Biomedical Informatics. 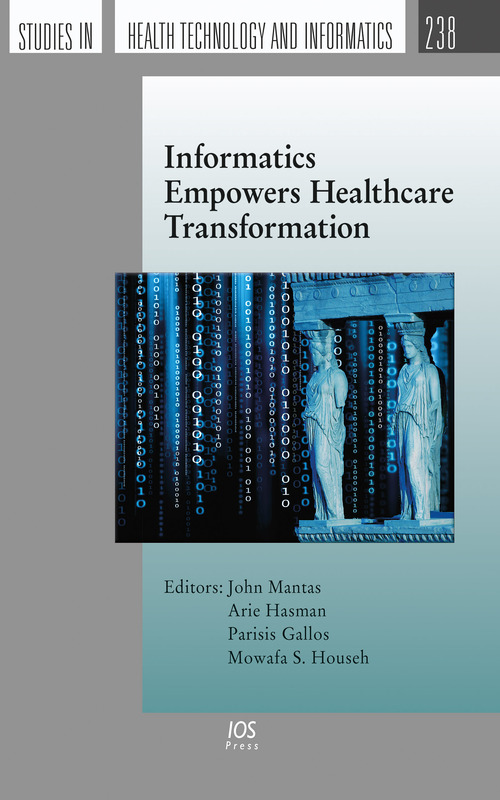 In essence, Biomedical Informatics empowers the transformation of healthcare, and the book will be of interest to researchers, providers and healthcare practitioners alike.